When I was younger, I loved to see deer. I have no clue why, but I did. I used to pray that God would let me see a deer, without it running in front of our car of course. Then one day that dream became a reality when we saw a whole field of them! That was one of the most exciting days of my life. Then not too long after that, my dad made meatloaf. Yum right!? I guess you already know where this story is going. As I was eating there was just something different about this meatloaf that I could not get my finger on. Once I brought it up, my dad exposed the truth. It was deer! I was so distraught. All the beautiful and elegant deer I saw that I had been hoping and praying to see for so long, was now in front of me under a blanket of ketchup. How dare he trick me like that! I made a pact with myself that I never wanted to eat poor little Bambi again. So fast forwarding to the present in my prejudged mind that elk was going to taste just like that poor deer that my dad tricked me into eating because isn't it the same animal family? Well since everyone keeps raving about how great elk is, my girlfriend was determined that we were going to eat some. Elk sausage, elk burgers, elk steak, the options go on and on. So one day out of nowhere when she brought home a lb of fresh killed elk meat someone from work gave her, I gave in to the wild game world and cooked it! I decided to make the elk just like smothered hamburgers and rice. I figured if I did not like the taste of the meat, at least it would be smothered in gravy to hide the taste. 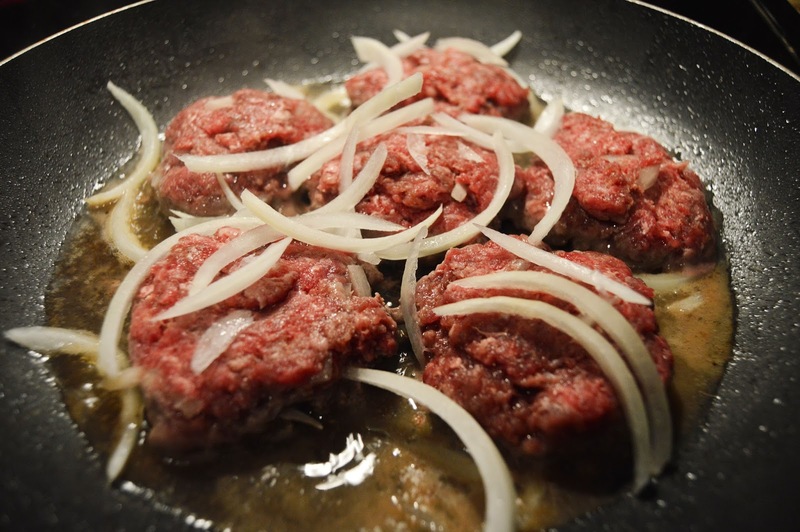 The meat looked and cooked just like beef hamburger. I seasoned it with salt, pepper, onion powder, chopped onions, and beef bouillon. I added the bouillon again out of my own fear of what it was going to taste like. I thought maybe I could make it taste more like hamburger that way. Once it was done, I removed the meat and made the gravy. Surprisingly, I was very pleased with the outcome of the meal! I think I overcooked it a tad, but I could still tell that elk was a good tender meat. It was very fresh meat, and I could tell it was a natural grass fed elk because of the quality of the meat. 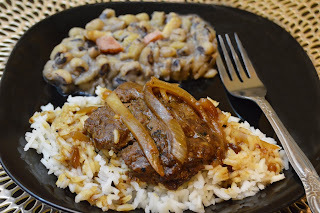 I made the dish with a side of white rice and gravy and country style black eyed peas. It had a very similar taste to cube steak. Use lots of onions! I think the onions gave it the best flavor. 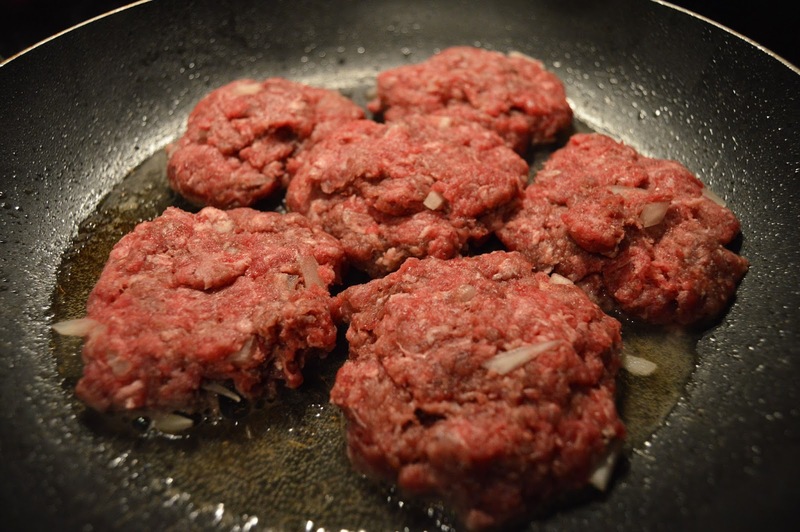 I mixed onions in the burgers, cooked some on top, and used onion powder. I know it sounds like a lot, but it cooked down into an awesome gravy. Eat it while it's hot. Half way through after the excitement of trying something new died down, I started doing other things. Once it started to get cold, it had a much stronger aftertaste. Not necessarily a bad aftertaste, but I am not a fan of aftertaste. Depending on where you are in the country heavily determines the types of foods that are considered "normal" to eat. For example, In some areas of NC, eating deer meat is normal, but because there are no elk there, eating elk sounds very foreign. Now that I live in Idaho, it is the complete opposite. Honestly, after the 2nd bite I completely forgot I was not eating regular hamburger. Although it was a good experience, I am not an elk fan. Sorry to let you down all of my Northwesterners! What are your thoughts on eating wild game, would you ever try Elk? What are the "norms" where you live?